The Country Butcher…A Brand You Can Trust! The founders have been in meat processing for six generations, resulting in 160 years of experience in the meat business. We maintain compliance with all federal regulation guidelines through a strict HACCP program we have in place. Years of proven consistency of products with every batch. All protein products are processed in a meat plant that operates under the Federal HACCP meat inspection program. The majority of the raw products we use are saved for human consumption. Our products are made from quality-graded animals. Hooves, lungs, beef trim, and trachea are not allowed to be saved for human consumption; these are saved for pharmaceutical and pet use. Our stringent guidelines for accepting raw products assure that they contain no chemicals, additives, or preservatives. 100% of the raw products are kept at optimal temperature levels during processing for tastiest product results. The processing plant is kept clean to the highest standards. Complete separation of raw and cooked products is a strict policy. No formaldehyde or acetones are allowed on our premises. There are no artificial ingredients in any of our products. Natural liquid smoke is added to the bones for color and optimum flavor only. This product contains acetic acid, a natural constituent of liquid smoke made in the USA. It is an antioxidant and proven anti-microbial that adds flavor. NOTE: Center bones and knuckles are available “natural” with no smoke applied. USA rye flour and USA salt are added to jerky and sausage stick products. Natural guar gum (a constituent from the guar cluster plant, only grown in Pakistan and northern India) is added to Chicken Blend Links, Beef Blend Links, and Beef Liver Blend Jerky. Glycerin (a natural vegetable by-product from the USA) is also added to eight (8) products. 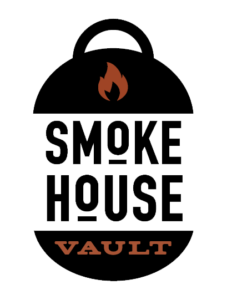 All products are oven-baked in our smokehouses. Hooves are USA natural beef toenails and have been thoroughly cleaned and baked to their finest. Precise heat control procedures are utilized to assure proper moisture levels and longer shelf life. All our products are 100% guaranteed for quality and workmanship. Our products carry Guaranteed Analysis reports. All products carry batch codes and sell-by dates for quality control, freshness dates, and product assurances. 99.2% complete order fill rate.